WASHINGTON — The House Science Committee favorably reported bills March 22 that would recognize a NASA center as a center of excellence in rocket propulsion and would resolve a commercial space regulatory issue. The committee approved H.R. 5345, the American Leadership in Space Technology and Advanced Rocketry (ALSTAR) Act, and H.R. 5346, the Commercial Space Support Vehicle Act, on voice votes and with no opposition. “Together, the two bills help ensure that America remains competitive in space,” Rep. Lamar Smith (R-Texas), chairman of the committee, in opening comments during the brief markup session. The bill requires the center to “provide national leadership in rocket propulsion” through such initiatives as collaborating with companies and universities on propulsion research and monitoring ongoing work in both the public and private sectors “to develop and promote a strong, healthy rocket propulsion industrial base.” The bill does not give NASA any specific oversight of such work, though, and does not authorize any funding for those activities. “Rocket propulsion is the foundational capability for everything we do in space,” said Rep. Mo Brooks (R-Ala.), sponsor of H.R. 5345, in a statement at the hearing. Brooks’ district includes Marshall. H.R. 5346 deals with what are known as “space support vehicles,” which are aircraft that serve as either part of launch systems or provide spaceflight training or other research activities. They include aircraft such as Virgin Galactic’s WhiteKnightTwo and Stratolaunch System’s giant aircraft under development, which are intended to serve as air-launch platforms, as well as F-104 aircraft operated by Starfighters Aerospace for high-performance training and research. Under the bill, the Federal Aviation Administration’s Office of Commercial Space Transportation would have the ability to issue licenses and experimental permits for such vehicles, effective at the beginning of March 2019. Rep. Bill Posey (R-Fla.) sponsored the bill, noting in his comments at the markup a report by the U.S. Government Accountability Office in November 2016 that examined the issue of space support vehicles and their regulatory requirements. He cited the use of F-104 aircraft for training; Starfighters Aerospace operates out of the Kennedy Space Center’s Shuttle Landing Facility, in his district. 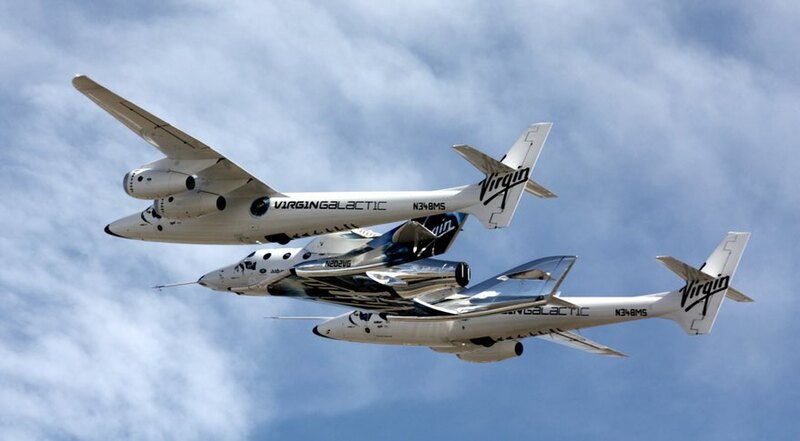 Virgin Galactic also submitted for the record a letter of support for the bill. “The Commercial Space Support Vehicle Act provides an appropriate regulatory approach by authorizing the Secretary of Transportation to develop regulations by March 1st, 2019, allowing licensed space support flights,” he said. Both bills go to the full House for consideration at a later, unspecified date.